Everyone Deserves Legal Protection And Now Everyone Can Afford It! Many people say they don’t have legal issues. But the reality is that most everyday problems are legal problems. Still, the typical American deals with daily challenges on their own, adding pressure and stress to their family life. 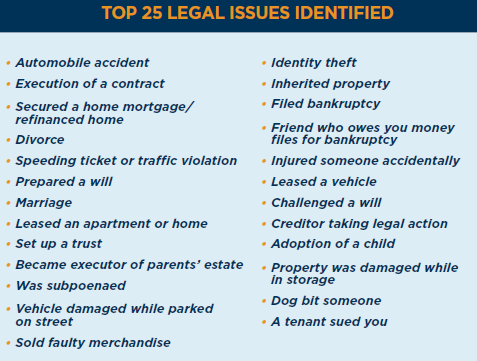 Working Americans and their families who face a myriad of legal issues on almost a daily basis, according to a recent ﻿Legal Needs Study﻿ by Decision Analyst. Despite the facts, most Americans forgo or even avoid legal help because of cost, access and trust issues. What would you do if the IRS mailed your TAX REFUND to someone else? Yes ... you may be careful with your identity but is everyone else? 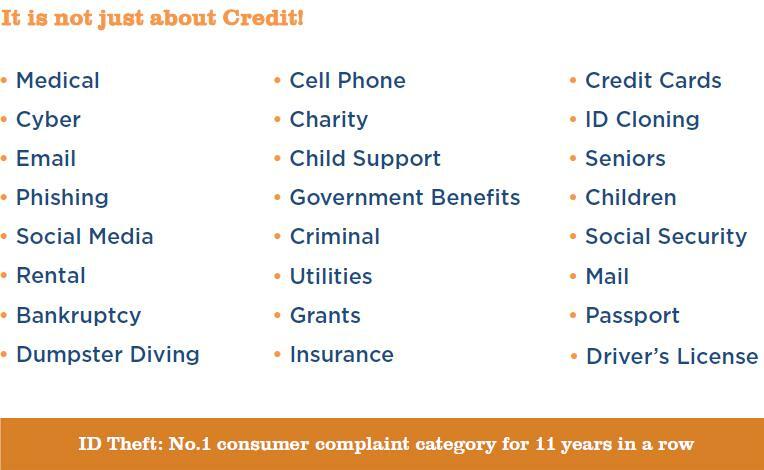 Are you aware of what's going on with Identity Theft?